As a result, some species were already considered endangered with one, the Amboli Toad (Xanthophryne tigerina), labelled critically endangered on the International Union for Conservation of Nature's (IUCN) Red List. Others are listed as data deficient as researchers don't yet have enough information to say if their populations are at risk. 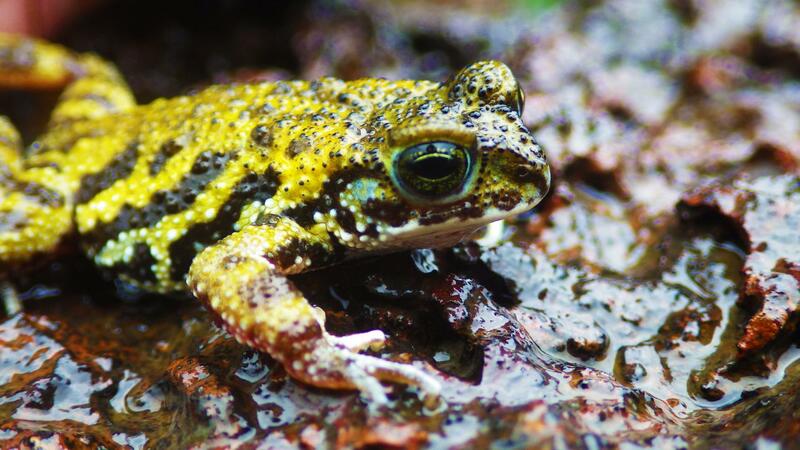 Christopher Thorpe, a Post Graduate Research Student in the University's School of Biological and Marine Sciences, said: "The rocky plateaux of the northern Western Ghats are a stressed habitat for amphibians, but those who live there have evolved to do so as it is a competition-free environment. They already face significant challenges but now the specific features they need to survive, such as large loose rocks and shallow pools created by monsoon rains, are being destroyed by human activity. Many of these highly important sites have low levels of statutory protection, greater efforts are needed to ensure these habitats – and the threatened species living within them – are protected for the future." This research focused on 14 sites within the area's northern section, which is considered geologically distinct and biologically isolated with many species endemic to the region and even to individual plateaux. It showed that within the plateaux there were microhabitats such as rocks, pools, and woody plants which are all essential to the amphibians' chance of survival. However, in areas where these habitats had been eroded away, for example by the removal of rocks for development, some amphibians were less abundant. Some sites are being completely lost to open cast mining. Dr Aparna Watve, from the Tata Institute of Social Sciences in Maharashtra, India, said: "Specialised ecosystems such as rocky plateaux are currently poorly understood and not accorded the same importance and protection as the forest habitats by the government. These ecosystems and their rich flora and faunal diversity are in danger of extinction and development practices, looking for short-term gains and neglecting the long-term effects of habitat destruction, are a real challenge to environmental conservation in India. There is a great need to understand the plateau ecology and ecosystem services to help plan local development without harming the biodiversity, and this paper provides valuable scientific evidence which will be useful for planning in-situ conservation and restoration of plateau biodiversity."